While all businesses never expect a customer to fall past due on paying an invoice, occasionally it will happen and the company needs to know how to respond. Most businesses will attempt to collect on the invoice with phone calls, e-mails, and sending the invoice through the mail. When these efforts fail, hiring a collection agency in Nevada is the best solution. Often time’s businesses will put off hiring a collection agency because they have never done it before and just write off the debt. Instead of giving up and writing off the debt, learn below how to hire a small business collection agency that can help recover the money owed. We have created a checklist of what to consider before hiring Nevada debt collection agency. Tenure– How long has the collection agency been in business? Try to avoid hiring an agency that has only been in business for a few months. An established agency that has a proven track record is a safer company to partner with and will usually provide better results. Track Record– Look at any online reviews or Better Business Bureau grades available online. Collection agencies can be over aggressive and create a bad name for them. Remember, the collection agency will be representing your business. Expertise– Some collection agencies may be experts in collecting on medical debt while other specialize in B2B debt collections. Try to find a collection agency that has experience in collecting for the type of business that you are operating. Collection Results– All collection agencies aren’t created equally. Some agencies excel at collecting debt and will gladly provide data to back up those claims while others will say they are the best debt collectors in Nevada but have little proof to show. Should I Hire a collection agency in Las Vegas? The city that never sleeps is known for casinos and bright lights but outside of the strip business owners in Las Vegas face issues collecting payments like anyone else. Collection agencies in Las Vegas can help small businesses located within the city get the money the business is owed. They staff veteran debt collectors who have worked with Las Vegas collection agencies for years. These debt collectors can locate and negotiate a full payment on behalf of local business owners who are tired of waiting for the money they are owed. 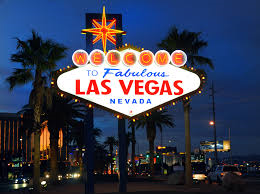 If you need a Las Vegas collection agency but are wondering how much does it cost? Read below as we explain how debt collection works. How Much Does a Collections Agency in Las Vegas NV Charge? If you live in Las Vegas, you know the value of limiting your losses while maximizing your wins. Collection agencies in Las Vegas work on what is called a contingency rate. This means the collection agency does not get paid until they have successfully collected the money owed. A local HOA in Las Vegas has 10 home owners who have not paid the dues. The total owed is $6,000. The HOA decides to hire a Las Vegas debt collection agency to attempt to recover the money owed. The collection agency agrees to collect for the HOA on a 20% contingency rate. The agency works at collecting the money for several weeks and eventually gets a total of $4,500 in payments. The HOA will receive a $3,600 check. The Las Vegas debt collection agency will keep the remaining $900. What if the collection agency isn’t able to collect? Then you owe ZERO. This is a rare “win-win” bet to place in Las Vegas! You do not need a list of licensed collection agencies in Nevada. We make the process of finding a professional collection agency simple! Get a free quote from CollectionAgencyMatch today!